Fixed Partial Hybrid refers to “all” teeth being supported “on four” dental implants, a prosthodontics procedure for total rehabilitation of the edentulous patient or for patients with badly broken down teeth, decayed teeth or compromised teeth due to gum disease. It consists of the rehabilitation of either edentulous or dentate maxilla and/or mandible with fixed prosthesis by placing four implants in the anterior maxilla, where bone density is higher. The four implants support a fixed prosthesis with 10 to 14 teeth and it is placed immediately, typically within 24 hours of surgery. Fixed Partial Hybrid is a Prosthodontic procedure (i.e replacement of missing teeth) that provides a permanent, screw-retained, same-day replacement for the entire upper and / or lower set of teeth with a bridge or denture. This procedure is best for patients with significant tooth loss or decay and for people whose bone loss in the jaw area prevents them from getting conventionally oriented (vertical) dental implants. Often, tooth loss is accompanied by loss of the jaw bone which poses the problem of reconstruction of the jaw bone requiring bone grafting. The Fixed Partial Hybrid protocol is considered to be a graft-less solution thereby avoiding the long and costly road of rebuilding bone when conventionally oriented implants are used. For the implementation to be successful a careful analysis of the bone structure needs to be made. The most ideal way to evaluate the bone is by a CBCT scan. 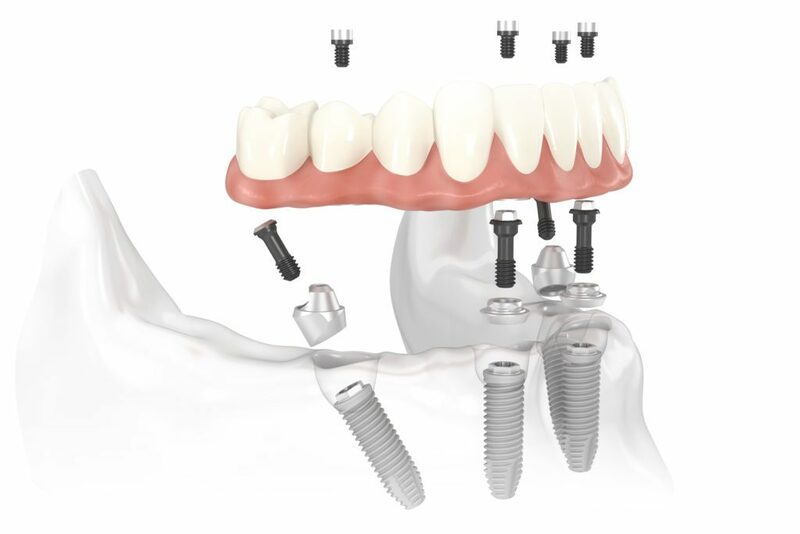 The Fixed Partial Hybrid protocol is for at least 4 implants to be placed in a jaw. The back implants are typically angled approximately 30 to 45 degrees from the biting plane. 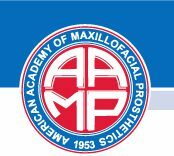 The implant is placed in front of the maxillary sinus in the upper jaw (maxilla) and in front of the mental nerve in the lower jaw (mandible). The head of the implant emerges in approximately the second premolar position. This will allow a molar tooth to be cantilevered posterior resulting in a denture or bridge with approximately 12 teeth. The Fixed Partial Hybrid treatment concept owes its name to the very nature of the method, which consists of applying a dental prosthesis with at least twelve teeth (bridge) fixed in the jaw, based only on four titanium implants.